This may be a tradition of sorts. 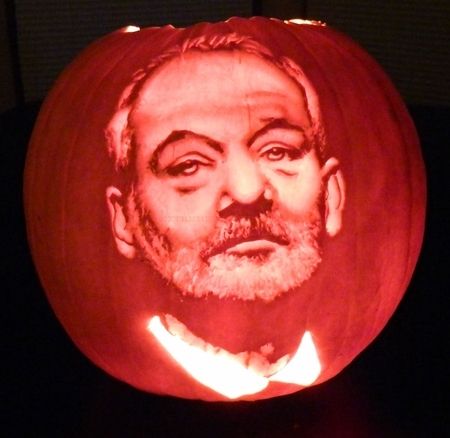 Last year I received an excellent Bill Murray pumpkin carving and awarded it a prize. This year I also received an excellent Bill Murray pumpkin and like it enough to pick it as a winner. Maybe I have a thing for the freedom of expression that Bill Murray represents. After all, he is pretty cool.